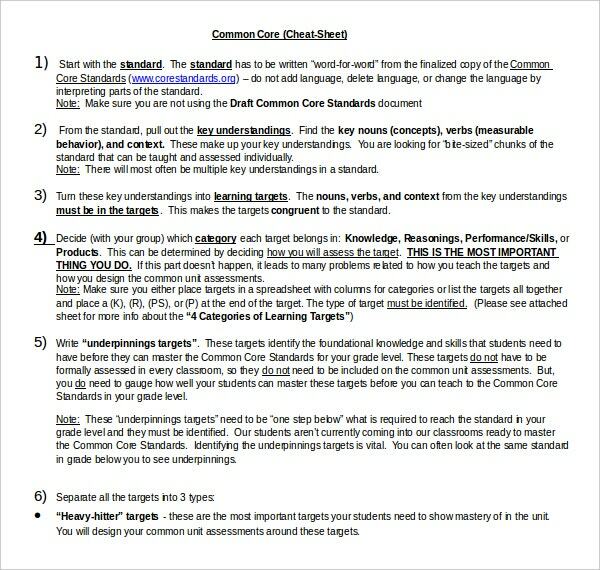 A common core cheat sheet has been in use for decades, and you might have even used it when you were in high school or in the university. Except at that time, they were actually made from scratch. 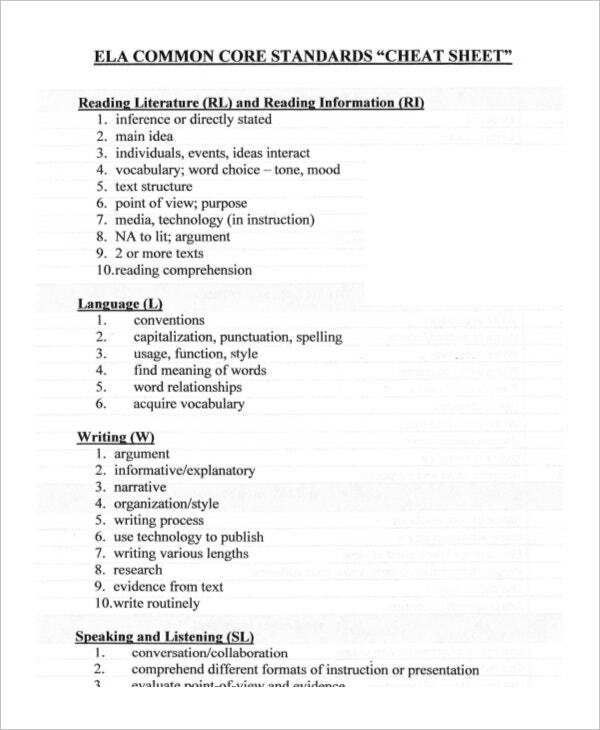 Today, even simple common core sheets can be downloaded from the internet for free. 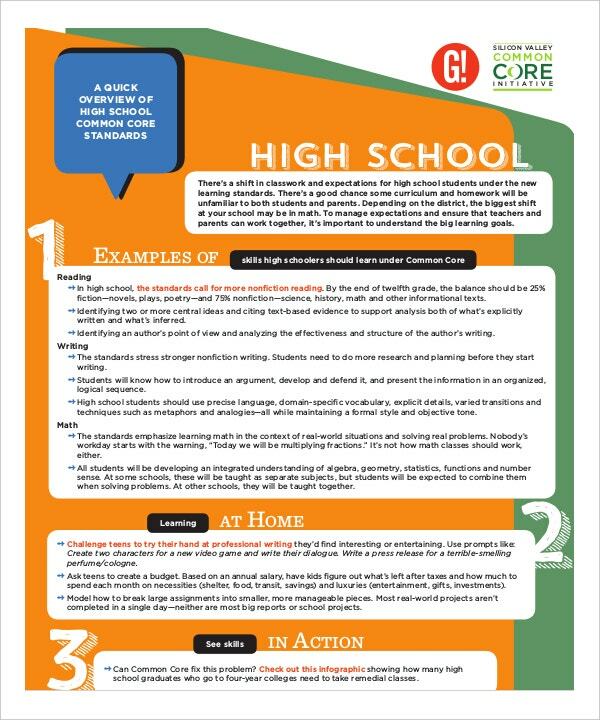 These templates were designed for different people, including small kids in Kindergarten and those who are in senior high school. 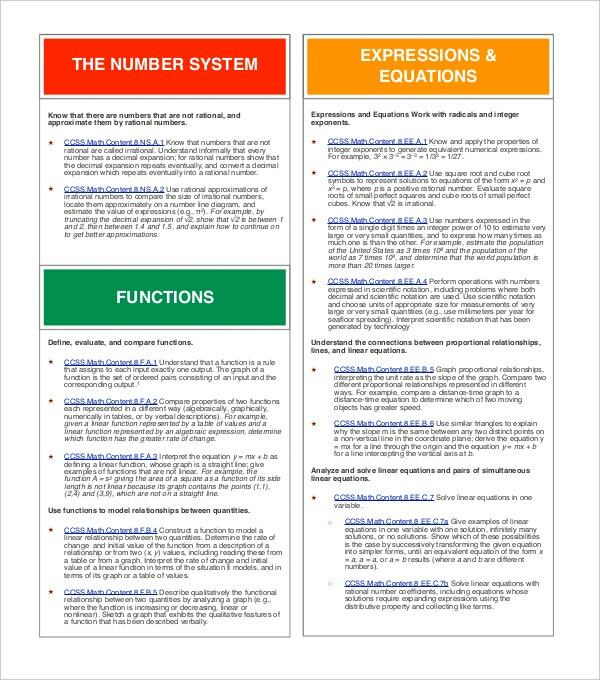 You can also see Common Core Math Sheet. 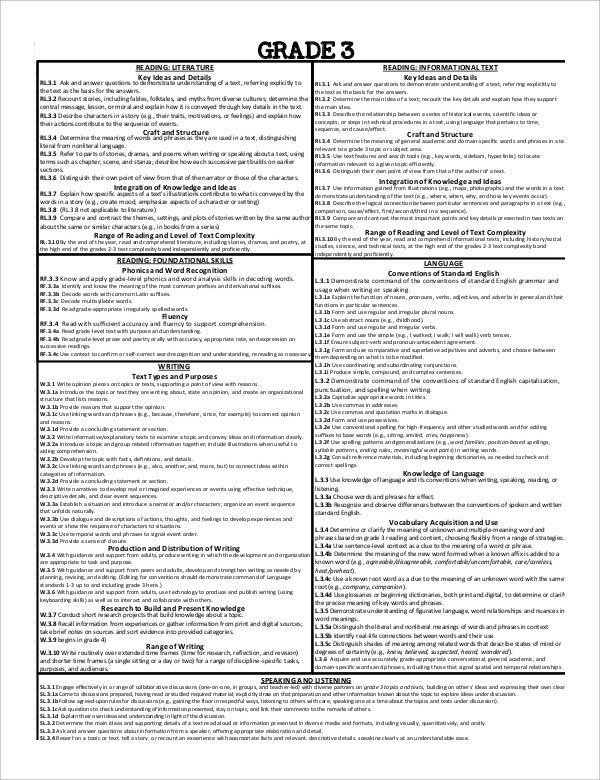 The cheat sheet is often a list of terms with their respective definitions. Although you can use the Sheet Templates to define as many terms as you wish, you should focus only on terms and points that matter. 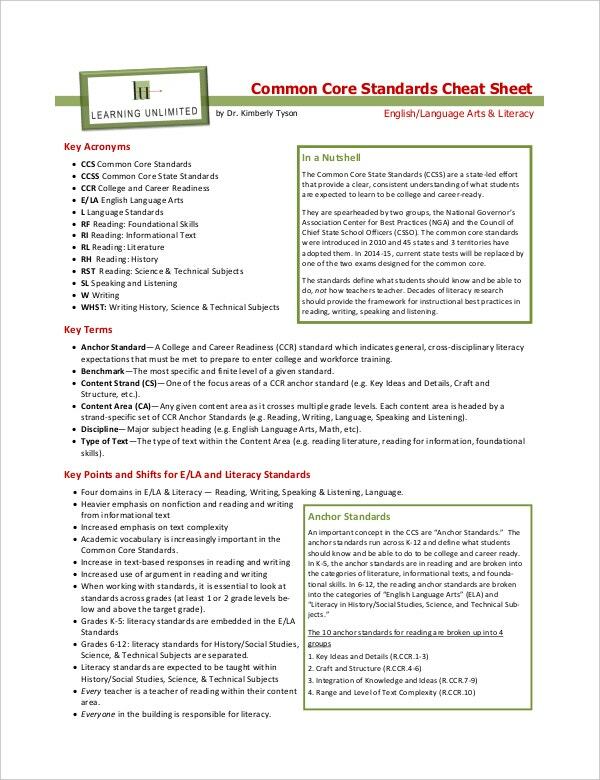 Creating a common core cheat sheet is very easy you can create it within minutes. It can be made in an MS word document as well as in an excel spreadsheet. You need to list down your own sums and insert the steps and instructions with the help of bullet marks. You can also download the Core Sheets in a PDF or PSD format and customize it on your own. 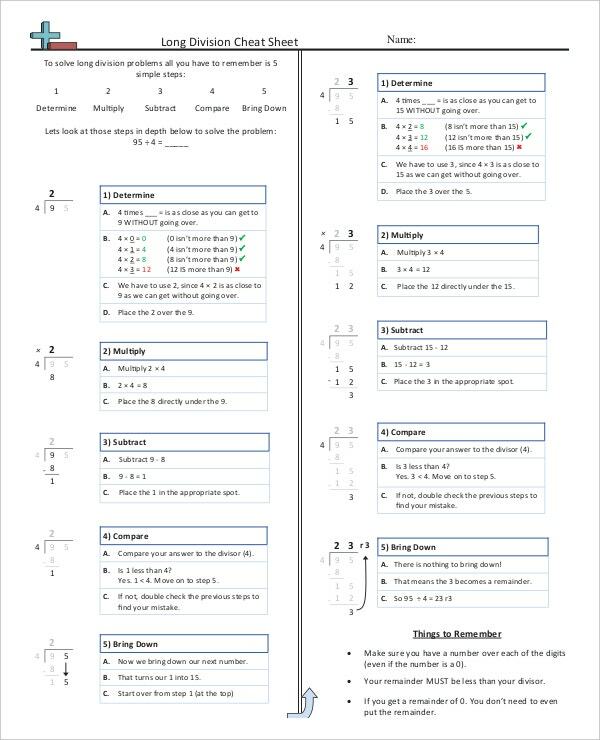 Subtraction common core cheat sheets are those that have a number of sums listed on them, there are approximately four sums in this type of template and there are instructions listed to solve these sums. This helps the child understand the sums better and helps them progress rapidly. 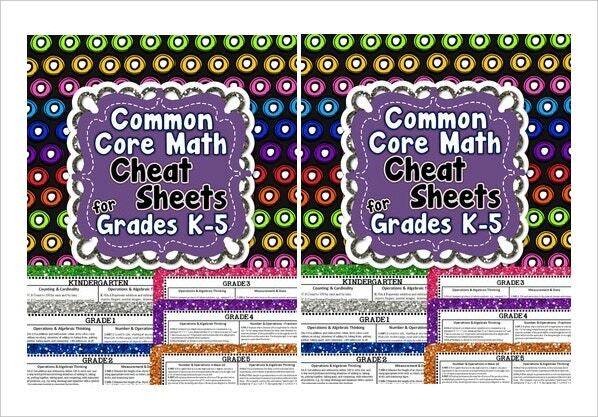 There are many more common core cheat sheets that deal with practicing sums with the help of tables, puzzles and games that focus on keeping the child interested and engaged. This way the child is less bored and tends to pick up his tables and sums relatively faster than usual. No child is interested in studies, working out a math problem or solving questions is a long way off. 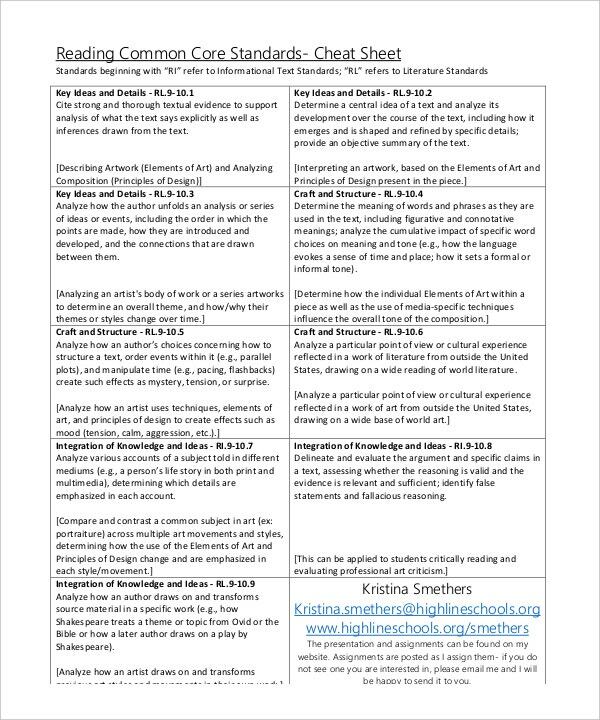 Things get interesting for them when they find something that is different from just simply mugging up hence we bring them the practice cheat sheets, that help them make their studies interesting. You can also see Core Sheets. It is used for making things easier to catch, simpler to learn, and a cake walk to pick up. The sums on the cheat sheets are set according to the grades of the child, and they have a short summary that helps the child solve the problem given. 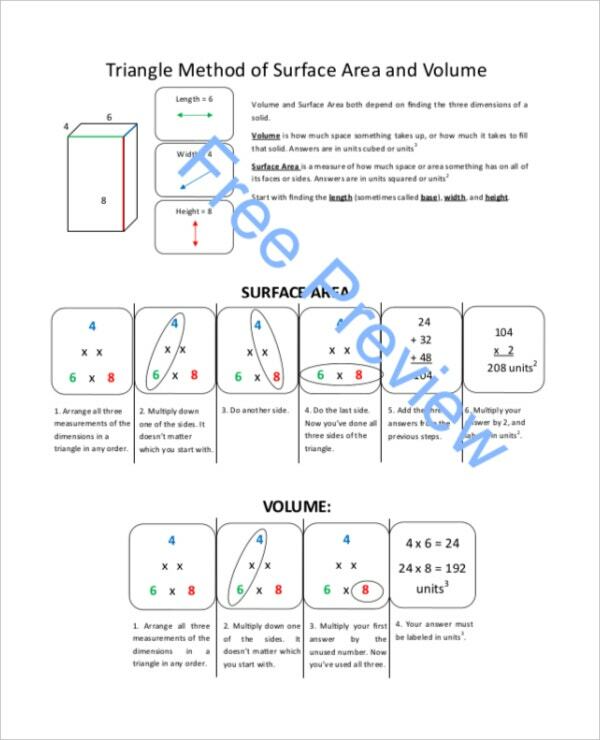 It is said that practice makes perfect, similarly a common core cheat sheets provides the children with a number of descriptions, reviews and instructions to help him solve his sums. Hence do not delay and choose the best for your child. 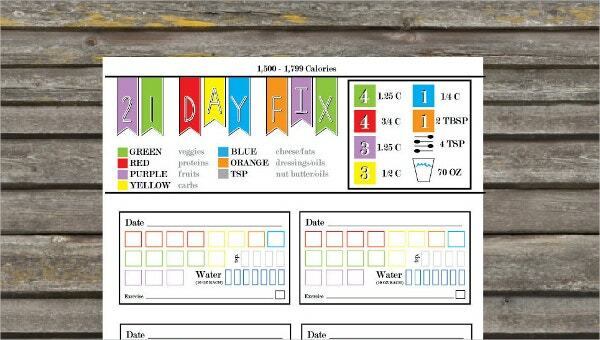 You can also see Sheet Templates.